If you go to the beach this summer, you had better watch your step. 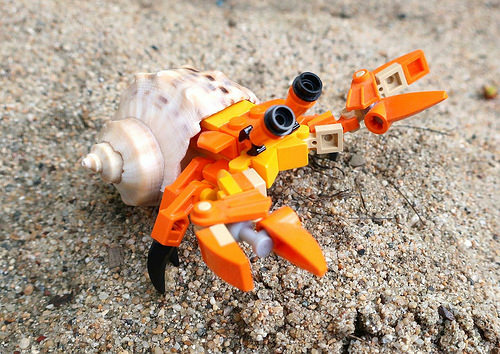 If you don’t, you might just trigger a painful pinch from PaulvilleMOCS’ little hermit crab! If you’re wondering why the shell looks so real it’s because it is. While it may not be a brick-built solution, it works quite well and makes the LEGO hermit crab look delightfully authentic. In addition to this, the sandy scenery makes this little crustacean all the more believable.